Purdue University Honors College student Lauren Jankowski is heading to Poland this summer as part of General Electric’s U.S. Student Culture, Economic and Diplomacy Immersion program. This year’s 10 honorees will arrive in Poland on June 13 and return to the United States on June 24. Warsaw City Center with Palace of Culture and Science. Jankowski studied in the Honors Mentor Program for the past two years, and will serve on the Honors Mentor Council in the 2018-19 academic year. The Granger, Ind. native is involved in biomedical engineering research, focusing on molecular diagnosis, and is a teaching assistant for Purdue University freshman engineering courses. The 10 students traveling to Poland will meet Andrzej Duda, the President of Poland, as well as with various government officials. 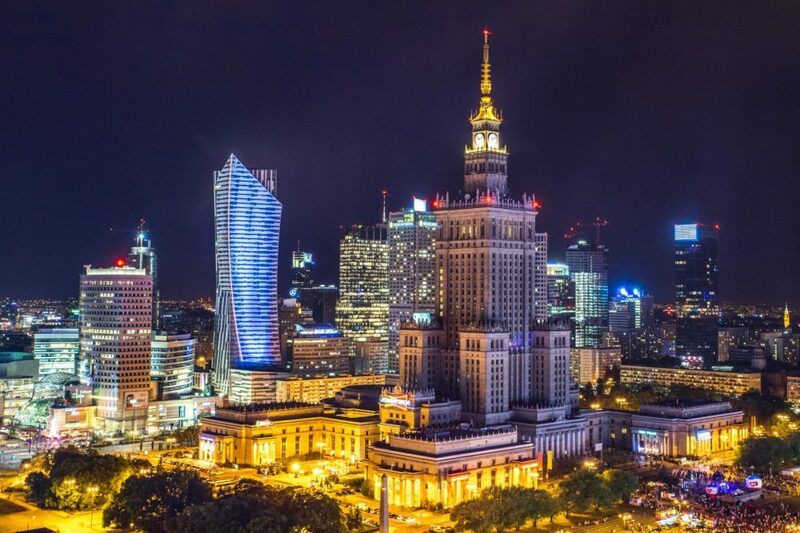 They will also visit leading Poland and multinational firms, sit down with prominent business leaders, tour the GE Power factory and prestigious Polish factories and have time for sightseeing Poland’s fascinating cultural places. In the program’s debut last year, students spent 10 intensive days learning about Poland meeting such people as President of the National Bank of Poland Adam Glapinski and Speaker of the Polish Senate Stanislaw Karczewski. Students also visited the Warsaw Stock Exchange and the National Bank of Poland as well as Polish Companies PZU, Orlen, GE Power and CD Projekt. The trip included stops in Warsaw, Cracow, Wroclaw, Wisla and Kazimierz on the Vistula. After attending a show at Warsaw’s Grand Theater and visiting the Warsaw Uprising Museum to get a close look at Polish culture, the trip ended with visit and tour of the Presidential Palace and a meeting with President Duda. Students interested in this program for 2019 should be on the lookout in early 2019 for information from your Career Center. You can also stay updated on the latest opportunities from GE by visiting www.ge.com/university.